Local groups, towns and neighborhoods work together to provide free dog friendly groomed or packed Nordic trails. Mountain States Snowcats works with HTA and the Towns of Winter Park and Fraser to groom the Fraser River Trail from Winter Park Resort to Safeway. Grand Nordic grooms the Fraser to Granby Trail from Fraser all the way to Granby. For more information on each entity, click on their logo or website. 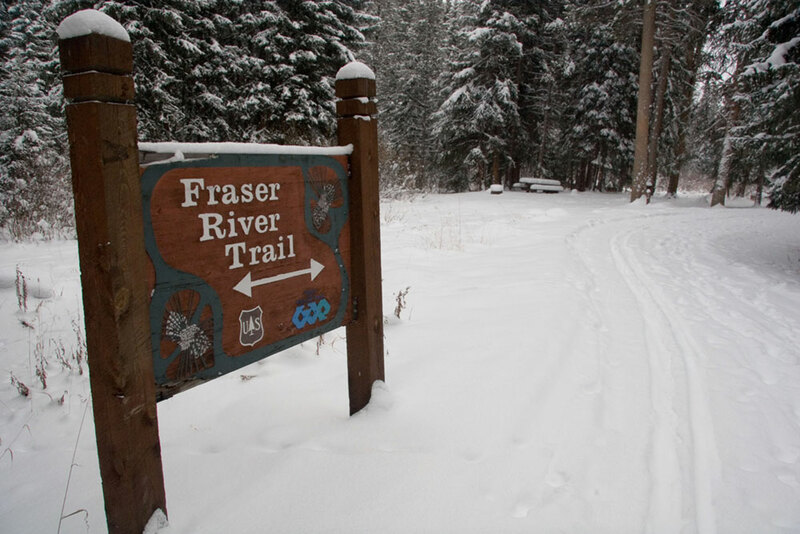 Grand Park Trail – Fraser Valley Metropolitan Recreation District – a flat, easy loop in the Fraser meadow aka Grand Park behind the Rec center; walk your dog, snowshoe, or cross country ski, with set tracks. Excellent for quick exercise without having to drive out of town. Vasquez Creek – accessed from Winter Park at the end of Vasquez Road, with a couple of small pull-offs, as well as a small lot at the end of winter plowing. 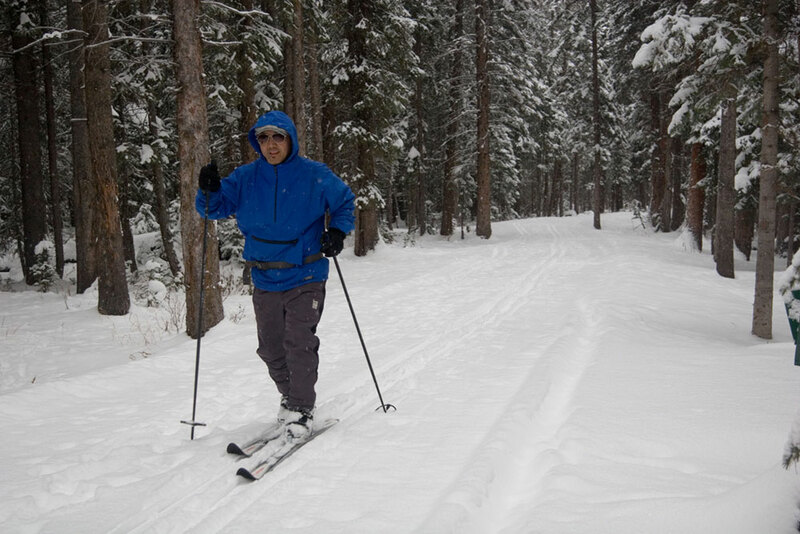 This region has a plethora of snow-covered summer roads and trails of variable width and difficulty. This is by no means a complete list, but a highlight of some easy to get to areas to explore. You can also find some great ideas in the Nordic News Corner, like Diana Lynn’s Free Skiing article.